A senior scientist in the Institute for Behavioral Health, Dr. Merrick has 20 years of experience conducting health services research. She is a clinical social worker with a Ph.D. in social policy. Her research includes a focus on mental health and substance abuse services, and the intersection between general medical and behavioral health issues. She is interested in wellness, preventive services, and workplace health programs in addition to standard treatment settings. Cross-cutting areas of study include treatment access and quality, incentives to shape health behaviors,performance measurement, adherence, consumer perspectives, and organizational and financing impacts on service delivery. Dr. Merrick has extensive experience in the analysis of large administrative databases, survey development and analysis, and intervention design and evaluation. She has had leadership roles on studies funded by the National Institutes of Health, Centers for Medicare and Medicaid Services, and foundations. 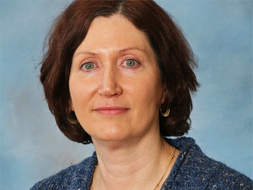 Recent projects have examined access to behavioral health treatment including through employee assistance programs; customization of pharmacotherapy for depression treatment; contingency management for substance use disorders in primary care; recovery support navigation as a strategy for reducing detoxification readmissions; incentivizing breast cancer screening; and alcohol use among older adults with chronic conditions. Merrick, EL; Hodgkin, D; Horgan, CM.. "Incentives to shape health behaviors: How can we make them more person-centered?." Journal of Workplace Behavioral Health 29. 1 (2014): 19-31. Merrick, Elizabeth, Thinking about Drinking Issues Forum. Senior adults and risky drinking. 8/12/13. Brown-Forman. <http://ourthinkingaboutdrinking.com/opinions-detail.aspx?id=1116>. Wooten NR, Mohr BA, Lundren LM, Adams RS, Merrick EL, Williams TV, Jeffrey DD, Larson MJ.. "Gender differences in substance use treatment utilization in the year prior to deployment in Army service members." Journal of Substance Abuse Treatment 45. 3 (2013): 257-265. Hodgkin D, Merrick EL, Hiatt D.. "The relationship of antidepressant prescribing concentration to treatment duration and cost." Journal of Mental Health Policy and Economics. 15. (2012): 3-11. McCann B, Hiatt D, Azzone V, Merrick EL.. "EAP Purchasing Preferences." Journal of Employee Assistance 3 (2012): 18-20. Merrick EL, Reif S, Hiatt D, Hodgkin D, Horgan CM, Ritter G. "Substance abuse treatment client experience in an employed population: Results of a client survey." Substance Abuse Treatment, Prevention and Policy 7. 1 (2012): 4. Delman J, Horgan CM, Merrick EL et al.. Health reform and behavioral health services in Massachusetts: Prospects for enhancing integration of care. Waltham, MA Consumer Quality Initiatives, Brandeis University, Reservoir Consulting Group: 2011. Merrick EL, Hodgkin D, Horgan CM, Panas L, Soumerai S, Ritter, G. "Is customization in antidepressant prescribing associated with acute phase treatment adherence?." Journal of Pharmaceutical Health Services Research 2012 Mar 1;3(1):11-16. Epub 2011 Oct 19.. (2011). Merrick EL, Hodgkin D, Hiatt D, Horgan CM, McCann B. "EAP service use in a managed behavioral healthcare organization: from the employee perspective." Journal of Workplace Behavioral Health 26. 2 (2011): 85-96. Hodgkin, D, Merrick EL, Hiatt D, Horgan CM, McGuire TG. "The effect of employee assistance plan benefits on use of outpatient behavioral healthcare." Journal of Mental Health Policy and Economics 13. (2010): 167-174. Merrick EL, Perloff J, Tompkins CP. "Emergency department utilization among Medicare beneficiaries with serious mental disorders." Psychiatric Services 61. 6 (2010): 628-631. Merrick ESL, Hodgkin D, Hiatt D, Horgan CM et al.. "Integrated employee assistance program/managed behavioral health plan utilization by persons with substance use disorders." Journal of Substance Abuse Treatment 40. 3 (2010): 299-306. Azzone V, McCann B, Merrick EL, Hiatt D, Hodgkin D, Horgan CM. "Workplace stress, organizational factors and EAP utilization." Journal of Workplace Behavioral Health 24. 3 (2009): 344-356. Merrick EL, Hodgkin D, Horgan CM, Hiatt D, McCann B, Azzone V, Zolotusky G, Ritter G, Reif S, McGuire TG. "Integrated employee assistance program/managed behavioral healthcare benefits: Relationship with access and client characteristics." Administration and Policy in Mental Health 36. 6 (2009): 416-423. Merrick EL, Horgan CM, Garnick DW, Reif S, Stewart M. "Accessing specialty behavioral health treatment in private health plans." Journal of Behavioral Health Services and Research 36. 4 (2009): 420-435. Merrick, EL, Hodgkin D, Hiatt D, Horgan CM, Azzone V, McCann B, Ritter G, Zolotusky G, McGuire TG, Reif S.. "Patterns of service use in two types of managed behavioral health care plan." Psychiatric Services 61. 1 (2009): 86-89. Merrick EL, Hodgkin D,m Horgan CM, Garnick DW, McLaughlin T. "Changing mental health gatekeeping: effects on performance indicators." Journal of Behavioral Health Services and Research 35. 1 (2008): 3-19. Merrick EL, Horgan CM, Garnick DW, Morley M, Hodgkin D. "Disease management programs in health plans: extending across the medical and behavioral health spectrum?." Journal of Ambulatory Care Management 31. 4 (2008): 342-353. Merrick EL, Horgan CM, Hodgkin D, Garnick DW, Houghton S, Panas L, Blow F, Satiz R. "Unhealthy drinking among older adults: prevalence and associated factors." Journal of the American Geriatrics Society 56. 2 (2008): 214-223. Merrick, EL, Hodgkin D, Garnick DW, Horgan CM, Panas L, Ryan M, Blow F, Saitz R. "Unhealthy drinking patterns and receipt of preventive medical services among older adults." Journal of General Internal Medicine 23. 11 (2008): 1741-1748. Hodgkin D, Merrick EL, Horgan CM, Garnick DW. "Does type of gatekeeping model affect access to specialty mental health service?." Health Services Research 42. 1 (2007): 104-123. Levy Merrick ES, Volpe-Vartanian J, Horgan CM, McCann B. "Revisiting employee assistance programs and workplace substance abuse: key issues and a research agenda." Psychiatric Services 58. 10 (2007): 1262-1264. Merrick EL, Horgan CM, Hodgkin D, Garnick DW.. "Managed Care Organizations’ Use of Treatment Management Strategies for Outpatient Mental Health Care." Administration and Policy in Mental Health 33. 1 (2006): 104-114. Merrick EL, Horgan CM, Garnick DW, Hodgkin D, Keck K, and Cenczyk RE.. "The EAP/behavioral health carve-out connection.." Employee Assistance Quarterly 18. 3 (2003): 1-14. Garnick DW, Horgan CM, Merrick EL, Hodgkin D, Faulkner D and Bryson S.. "Managed care plans’ requirements for screening for alcohol, drug and mental health problems in primary care.." American Journal of Managed Care 8. 10 (2002): 879-888. Garnick DW, Lee MT, Chalk M, Gastfriend DR, Horgan CM, McCorry F, McLellan AT, Merrick EL. "Establishing the feasibility of performance measures for alcohol and other drugs.." Journal of Substance Abuse Treatment 23. (2002): 375-385. Hodgkin D, Horgan CM, Garnick DW, Merrick EL.. "Quality standards and incentives in managed care organizations' specialty contracts for behavioral health.." Journal of Mental Health Policy and Economics 5. (2002): 61-69. Levy Merrick E, Garnick DW, Horgan CM, Hodgkin D.. "Quality measurement and accountability for substance abuse and mental health services in managed care organizations.." Medical Care 40. 12 (2002): 1238-1248. Merrick EL. Garnick D, Horgan C, Goldin D, Hodgkin D, and Sciegaj M.. "Use of performance standards in behavioral health carve-out contracts among Fortune 500 firms.." American Journal of Managed Care 5. (1999): SP81-SP90. Merrick, EL. "Effects of a behavioral health carve-out on inpatient-related quality indicators for major depression treatment.." Medical Care 37. 10 (1999): 1023-1033. Merrick, EL. "Treatment of major depression before and after implementation of a behavioral health carve-out program.." Psychiatric Services 49. 12 (1998): 1563-1567.